We are in an intriguing moment in the middle of the digital age. Advances in technology allow for people to share what they are doing from their smartphones with friends all over the world, but there is a need to improve how people communicate locally to other peers around them. When we highlight the best features of our communities, we help empower them and give them notoriety. The expression “think global, act local” has gained momentum as a way for individuals to inspire and achieve wide-reaching change by being aware of concerns at the local level. Similarly, a “glocalist” is someone actively involved in her community, with the conviction that achieving change at this level will generate change on a bigger scale. To achieve change, we need to raise awareness of what is happening nearby to more than just our friends. 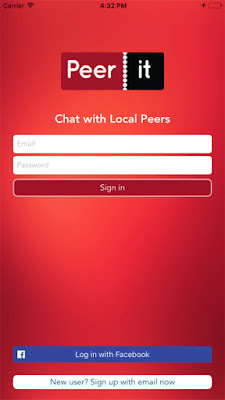 This is the challenge that inspires Peerit (http://peerit.net), the app that allows users – or peers – to promote activities locally with like-minded people. 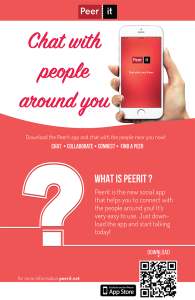 Peerit essentially works as a social bulletin board where users can see what is happening around them and who is promoting those activities. In a prosperous city like Houston, many exciting activities happen every day. From concerts to sporting events, to hanging out in restaurants, coffee shops, bars and clubs for different purposes, the fourth biggest city in America has a lot to offer. 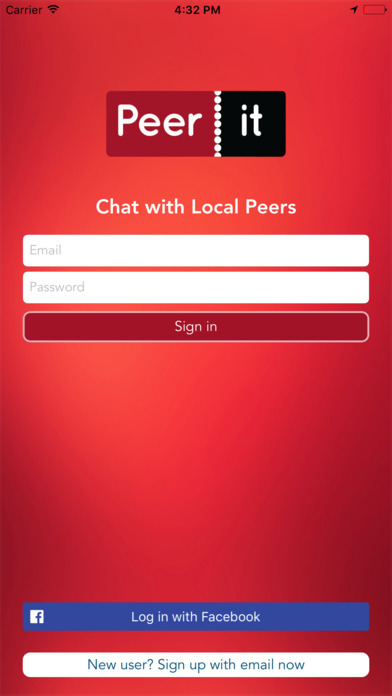 While still in its early days, Peerit has moved from a chat platform to a social sharing engine. This improvement was prompted by the valuable feedback from early users who were looking for Peerit’s unique value, compared to other chat applications like WhatsApp or Facebook Messenger. While keeping phone numbers hidden, Peerit is a cross between Tinder and Meetup, with an expanded reach. Here, users are matched by interest and are provided with a platform to arrange future meetings, but also to share a coffee or a drink later in the same day. After the new update, peers can share what they are doing, but can also promote their own ideas, work or events, being matched to people according to those interests. These matches allow for more awareness of social activities happening in the community, and users have the possibility of taking it further by chatting with others who promote events and even voting for those activities to make them more popular. If the next big thing comes from a local setting, Peerit wants you to be an active part of the community where it all started.